When Is the Next Scuba Class? All of our programs are taught in very small groups or most often, one-on-one – this means we can start based around your schedule and mine. For most people, we do 4 1/2 day sessions, either mornings or afternoons. You can consolidate them (example: tue/thur for 2 weeks) or you can space them out longer as needed. I know it gets busy, but once we set dates, I need to stick to them. I supply all equipment needed. Classroom you do online and you can start that at any time you wish before the program. How Old Do You Have To Be for Scuba? 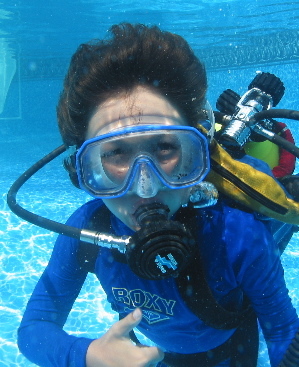 The national training agency has set the Learn To Dive program, at just 10 years old for certification. However for many children I have found that this is too young. They either lack the physical, emotional maturity, or academic levels needed. I suggest waiting until 12 years old, but I am always willing to discuss this with you. Several of the major things I encounter with younger children is that they have great difficulty with their ears and can not clear the pressure. This is often due to physical development and as they grow taller they will find clearing easier. Secondly, it is hard to keep a tiny, skinny kid warm, even with wetsuits. We are in the water for two or more straight hours and it gets colder the deeper you go. Finally, the child must be big enough to carry their own equipment in and out of the water. If they weigh less than 100lbs., they will find this difficult. 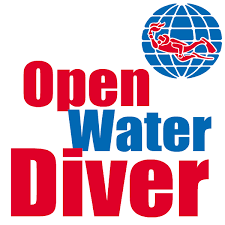 NOTE: Until you are 15 years old, you are issued a “Junior Open Water” certification that requires you dive with an adult. In most cases, I supply all the equipment for my training program, you don’t need to purchase a thing! We will do our best to supply you with everything else you will need to dive safely and comfortably. However, we can not always have every size of wetsuit or boots available (one guy had size 15 feet!). We suggest you have your own personal mask. snorkel, fins and booties, but you are very welcome to use ours during the course. We are not a scuba store and do not sell equipment, But there are a couple of dive shops close by and we suggest you work with them to ensure proper fit and comfort. For most people, we do 4 1/2 day sessions, either mornings or afternoons. You can consolidate them (example, tue/thur for 2 weeks) or you can space them out longer. Classroom/academic work you can do online through PADI’s online trading system (additional fee applies) and you can start that at any time you wish before the program. Do I Have To Get Recertified? Your certification does not expire, but if you have gone more than two years without diving, I suggested you do a pool or lake dive as a refresher. I supply all equipment or you can dive your own gear. What Is the Advanced Class Schedule? For most people, we do 5 – 6 1/2 day sessions, either mornings or afternoons. You can consolidate them (example: tue/thur for 2 weeks) or you can space them out longer as needed. I know it gets busy, but once we set dates, I need to stick to them. I prefer to teach the program outdoors at a lake in Barnstable, MA.